Ed Sussman is a journalist, lawyer, and entrepreneur. He is currently the CEO and Board Chairman of Buzzr, the company that notably owns WhiteHatWiki. Sussman graduated first in his class at Duke University's School of Law. While there, he was a law review editor for the Duke Law Journal . He also went on to publish law review articles for the publication, as well as the Texas Law Review . Ed Sussman began his career as a journalist. He wrote for publications among the likes of the Wall Street Journal and the Financial Times . After law school, he became a staff member at the Federal Judicial Center, the official educational and research agency of the United States federal courts. He also served as a law clerk to two federal judges. From 1999 to 2002, Sussman worked as a Senior Editor at Worth Magazine, a financial, wealth management and lifestyle magazine. In January 2002, he began working as the Executive Editor at Inc. Magazine and P.O.V. Magazine. In January 2004, Sussman became the Senior VP at a holding company called Mansueto Ventures. During his tenure, it held $70 million for the Inc. and Fast Company magazine brands. In addition, he ran editorial content, sales, and marketing for the magazines and eventually became the President of Mansueto Digital. He later served as Executive Vice President of Mansueto Ventures. 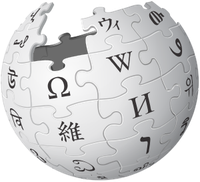 Within Buzzr is a company called WhiteHatWiki, a company dedicated to writing and editing Wikipedia articles. According to their website, their clients include Fortune 500 companies, particularly in the technology sector, and are often called upon in "crisis management " situations. All information for Ed Sussman's wiki comes from the below links. Any source is valid, including Twitter, Facebook, Instagram, and LinkedIn. Pictures, videos, biodata, and files relating to Ed Sussman are also acceptable encyclopedic sources. Other wiki pages related to Ed Sussman.